When new Rhodes scholars first visit the prestigious Rhodes house at Oxford University they are inspired by portraits on the walls of some of the great students who have preceded them. There is the late South African leader Nelson Mandela, the former US president Bill Clinton and pioneering Canadian neurosurgeon Wilder Penfield. A widow, who lost her husband early, she left four children and a number of foster children when she died aged 44 in August 1998. Previous articleWhat exactly is the Mixed Member Proportional representation that our MPs rejected? Great news indeed. Today’s youth should understand UNZA was founded on the principle of Service and Excellence, most of us that graduated from there earlier have lived up to it and promoted a positive image of mother Zambia where ever we’ve gone. Lucy Sichone exhibited that spirit of Service and Excellence in and very courageous way, MHSRIP. Great news for someone with BOTH parents from Malawi! Nyabanda was a great freedom fighter and could have been a befitting president! But I wonder out of curiosity, are there any indegineous Zambians who have excelled! KK- you know from where; FTJ- mainly from Congo! Mwanawasa- biological father was from Malawi! RB- kaya; Cobra- si Tanzania? EL- 5th Ammendment! MB, delete that crap from your head. There is nothing wrong by having Zambians with such parentage. It will never stop and actually it will increase, what more with dual citizenship coming. You can’t run away from the fact that a Zambia surrounded by 8 countries can have people with foreign parentage. Swallow it. You should even change your stupid constitution so that you go back to the pre-1996 clause. Your pre occupation is counterproductive because all those allegations you can’t prove them….shaa! Good News, though I Remember there was some bad scandal about her, She grabbed someone’s husband, one of the old politicians.. IT WAS A BIG STORY IN ZAMBIA THEN. HAAA I remember it was Kebby Musokotwane, she made the wife suffer and Died in her sins. Nevertheless Good News for Zambia..
Lucy was ahead of her time and gone too soon. What an amazing feat to be the first woman portrait at Oxford! Rest well, genius! MB that’s really backward. Which Zambian is not descended from foreigners? Unless you’re from Bantu Botatwe, we’re all children of immigrants. Zambia is like the US, built by immigrants. History will say that Lucy was from Zambia. Never will Malawi feature in this history. She achieved all that because of Zambian education and has made a name for herself and Zambia. So take that and stuff it where you see fit! The Prince – Do not tell lies. Mr. Musokotwane did not divorce his wife. He also had children with other women including Lucy. Lucy did not grab any woman’s husband like Nawakwi, but had a child with a married man. Anyway, back to the topic – a true freedom fighter Lucy – miss you so much. who on earth is she ? i dont understand Africans who take Rhodes scholarships. How do you take a scholarship in honor of a man who was on genocidal mission to wipe out our African brothers south of Zambia. The man who said ,”Afrika is still lying ready for us; it is our duty to take it. It is our duty to seize every opportunity of acquiring more territory and we should keep this one idea steadily before our eyes: that more territory simply means more of the Anglo-Saxon race, more of the best, the most human, most honorable race the world possesses”. Its like telling the Jewish people to take a Hitler scholarship after it is created for other non German (foreign) whites. But again this is Africa. we celebrate and praise that which kills us. I deeply liked Lucy because of what she stood for – a voice for the voiceless – until she defended her nephew KC who had murdered his houseboy after he had impregnated his (houseboy’s) wife. Indeed blood is thicker than water!! Can someone explain why the US is still the largest beneficiary of this money stolen from Africa to to establish the roads foundation. And it is despicable that the people at Oxford University just displayed portraits of mainly white male from the US when most of the fortune to set up this foundation was looted from Africa. Truth tempered with. Who can rewrite this historical facts? Perhaps Ms Murell and her friends…. Additionally, we should be allowed to vote on who it should be named after. Rhodes, I have learned, was not a friend of ours. He was a brute! Please get your facts right before posting. Oxford University is in the UK not the US. We are blessed as a country. Congrats! and MHSRIP. Education that failed to impact on the lives of ordinary people. I think the guy along kalingalinga, who is producing all kinds of stuff e.g gates, tank stands, household furniture etc, occupies a special place in my life than people like Lucy. Im sure she was HIV positive like me, looking @ her image speaks volumes.That aside we will always be remembering her for her contribution in politics,science & art.The great daughter of Zambia. Most of us will choose to remember her in the positive light. It’s always better to live life that way. And you are welcome to try it! The story is in The Independent, a UK broadsheet Newspaper, not Lusaka Times written by graduates from Norma Jean School of Journalism of Fackson Nkandu. @ Mayiji Samatowe in the literal world, we call this plagiarising or lifting some works and claiming it as your own without making reference to the source! Its no wonder quite a few people noticed and Lusakatimes still does not comment about the source! Someone even alludes to the style of writing as too good for LT! I rest my case. @Kimbaguist don’t tell me that is the name of a Zambian journalism school. We must have taken monkey see monkey do to deepest levels! She was a great figure and activist in the area of governance and deserves such recognition. One aspect about her put me off though. She publicly proclaimed she was wife of late Kebby Musokotwane, prime minister and Unip stalwart. The widow of Kebby, Regina, contested the bigamous arrangement and Lucy fought that without shame. She ought to have shown respect for the rights of women. What was wrong with her remaining Nya Banda? Nsimbi – Polygamy is allowed among in Zambian tribes including Tongas. Mr. Musokotwane did not divorce his wife. What was Regina fighting against? What is Nya Banda? And did she become Musokotwane? She was the second “wife” of Kebby today shes being honoured for what? being a husband snatcher! The mark of bravely should be holistic including being a campus of moral excellence! I AM PROUD TO SAY I WAS IN THE SAME CLASS WITH LUCY BANDA . BRILLIANT PERSON SHE WAS INTELLIGENT AND DEFIANT FOR HER RIGHTS. and wat r u doing now? HI JOHN BLOGGING LIKE YOU LOL ACTUALLY A DYNAMIC BUSSINESS PERSON. YOU? Vilified and humiliated in life – she has now claimed her rightful place. A beacon to all future scholars of the female gender who aspire to make a change in the world no matter what. I salute you, Lucy! You can smile down on all your struggles and achievements at last. Thank you for describing Lucy with her rightful words. I am sure Chiluba would have been very happy and appreciative. Lucy, the lad I came to admire, love, and respcet with all my mental faculties. No words can do justice to her fight and dedication like your Kalok. For many years I have been saying this but my friends thot I was insane. I knew proper and good political insights throw her. A road well traveled Lucy. Not all will be happy with your life because you are human. A Well deserved accolade and honour . She was fearless and an inspiration. A great loss to the Nation and Humanity at large. The Portrait and the picture may as well be of 2 differnt people however. this was one lady that spoke for the people at all times despite the situation at that time being more hostile to people with opposing views. in today’s world she would have floored both the opposition and ruling party alike. Comment: Lucy, Nawakwi, Sylvia, Faustina,Mumbi &Jean, women with no fear in politics. But unlike Lucy, they are all scatter brains with zippy fingers. Anakazi ngawo ngawo, Lucy was a great woman & human being. With her death other strong women of that era fizzled into paper tigresses. Where is Inonge Wina of NGOCC, Emily Sikazwe of WforC, Suzanne Matale of CCZ, will excuse Rev Sampa-Bredt coz she passed on. These women were stalwarts of the governance struggle. At the height of their might they would have given parley a run over the constitution making process. I hope no I.d.I.o.t. will bring in useless rants about upnd shetanist. Your fellow shetani has already brought in PF and you are also ranting! Well done pumpkin heads! I loved what this woman did in her life. How I wish we had a place dedicated to her in Zambia, or someone write her biography I still want to know more about her. I was a teenager when she died it was like losing my best friend who spoke for justice.. Politicians hated her. This article was a “copy and paste” by LT.
Shame on you, Chota! How low can a human being sink? This is great. Now my spirit can rest. 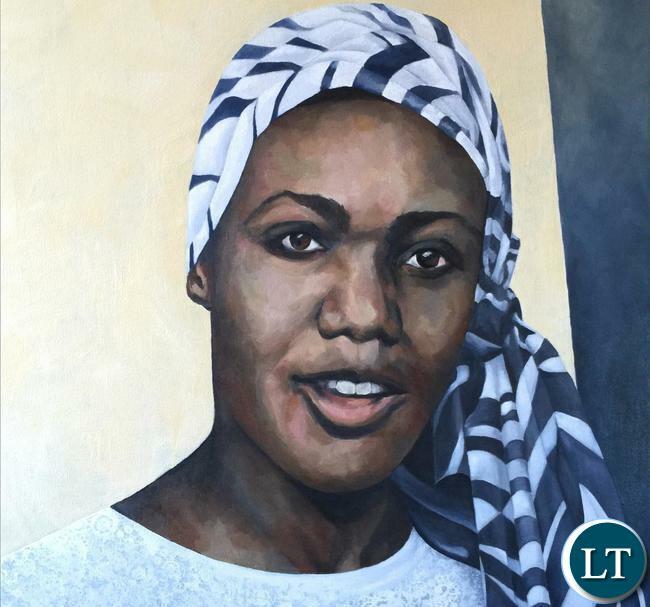 I have felt a void since the demise of the late Lucy because apparently Zambians have this tendency to refuse to acknowledge icons in their midst. Lucy was such an icon, a brazenly brave woman, a lucid thinker and a top class activist who put the late Mr Chiluba on his toes. Thank you for bringing back those memories of one great person who lived and walked among us. Lucy was a strong woman with enough education to change things an fortunately in Africa criticism is never accepted. About her social life I can not judge her ,life is a complex journey, I leave that to God. I am just saying Bravo iron lady we shall always remember you. I admired you so much though, I was a young man still studying at UNZA when you died, I could have married you if I had a chance. @The Niche, you would know, wouldn’t you? Always will wonder how people seem to know more about people than the people themselves. Whoever was “snatched” was a human being and not an article and certainly went into the relation willingly. Matters of the heart are complicated and involve only the two people concerned. Lucy is not here to defend herself. Let her rest in peace. Her work is speaking for her. Do not be jealous and spoil this moment. We don’t and will never know about you. You do us proud, daughter of Zambia! May your legacy live on! The Niche stop taking your bitterness out on people who have nothing to do with your problems. Hasn’t it occurred to you that the drawing could be based on a portrait of her when she was younger? Perhaps at the time she entered Oxford University? 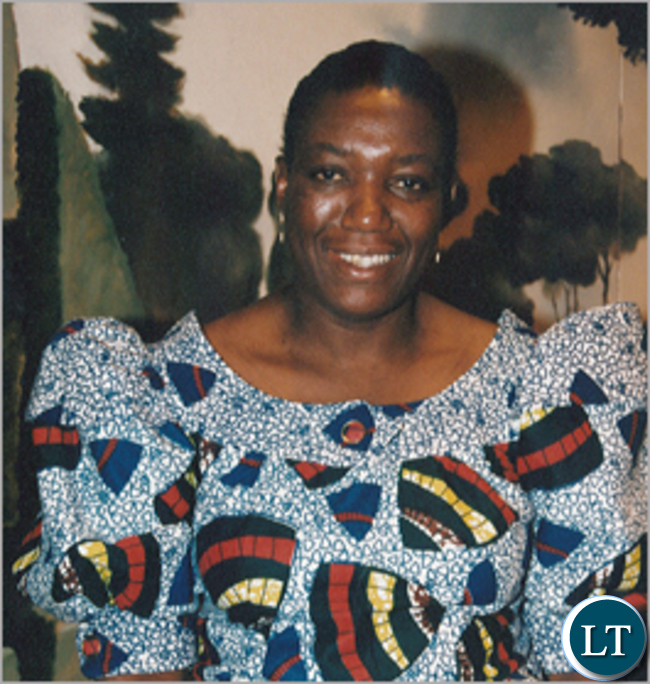 Lucy Banda was ‘the Woman President Zambia needed but never had’. Thanks Ms Murrell for putting her on the map. Comment: Let’s us educate each other and not insult. Moreover we know who is winning. So why bother? I remember this strong lady. May her soul rest in peace. i remember demonstrating against Chiluba”s whims at UNZA and Lucy stood firm in denouncing the police as GOONS! Never forgotten that word!Deserved honor!!! Great Political and human right activist…..Edith Nawaki eat your hear out, she must have inspired you too as a heron! Kebby was my guy to take over UNIP, but his relationship with Lucy was merely that of 2 intellectuals thinking alike…Abantu Ba ya! !